Dow futures posted a decline of more than 350 points on Thursday. The S & P 500 and the Nasdaq both fell 1.5%. 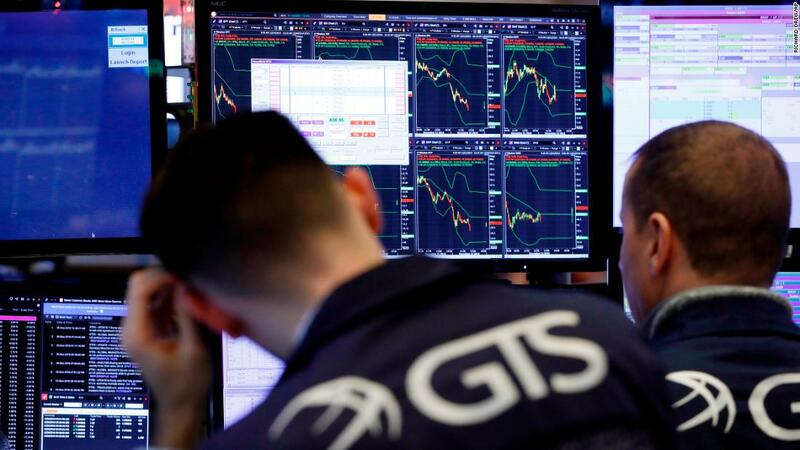 Wednesday's overseas gain was a much needed breather for a market that has its worst December since the Great Depression. The Dow has had its best point ever and the S & P 500 and Nasdaq have performed well since March 2009. 1; even the good news has shaken the markets sometimes. The Dow has gained over 350 points or lost trading sessions in seven out of the last eight. Thursday would be eight out of nine. These huge gains and (mostly) losses indicate that investors are still marginalized in Washington's economy, monetary policy, trade and malfunctioning. The big winners of Wednesday were the big losers on Thursday. Tech, who led yesterday's rally, dropped out this morning. Amazon (AMZN), Facebook (FB) and Apple (AAPL) all fell 1%. Netflix (NFLX) and Alphabet (PORTL) were down 2%. [GE] had the fifth-best day of the year on Wednesday, but fell 2% on Thursday morning. Oil fell 9% 1.5% Thursday morning. But Newmont Mining Corp. (NEM), the S & P 500's single stock that fell on Wednesday, gained almost 1% on Thursday before the bell. Newmont has traded in opposite directions with the broader market in recent days. It was the biggest gain of the S & P 500 on Monday, when the Dow fell by 650 points. The gold price rises when investors are anxious – the gold price rose again around 1% on Thursday. European markets have fallen sharply since their first day of trading since Monday. The FTSE fell by 1% and the German DAX by 2%. Hang Seng in Hong Kong and the Shanghai Composite both fell more than 0.6% after weak Chinese industry data highlighted the difficulties of the world's second largest economy. However, the Japanese Nikkei rose nearly 4% on Thursday, pulling the index out of the bear market it had entered two days ago. Equities also rose more than 1% in Australia and Singapore.